Secondary school pupils from Durham were challenged to find new ways of using light in the 2015 Future Business Magnates competition. Future Business Magnates is an enterprise competition for schools, run by Business Durham. It was particularly fitting that they celebrated the 10th Anniversary of the FBM competition with a theme of Light, inspired by The International Year of Light 2015. An eco-friendly tap to guard against water waste saw its young inventors crowned Future Business Magnates on a night showcasing the very best of enterprise talent in Durham schools. 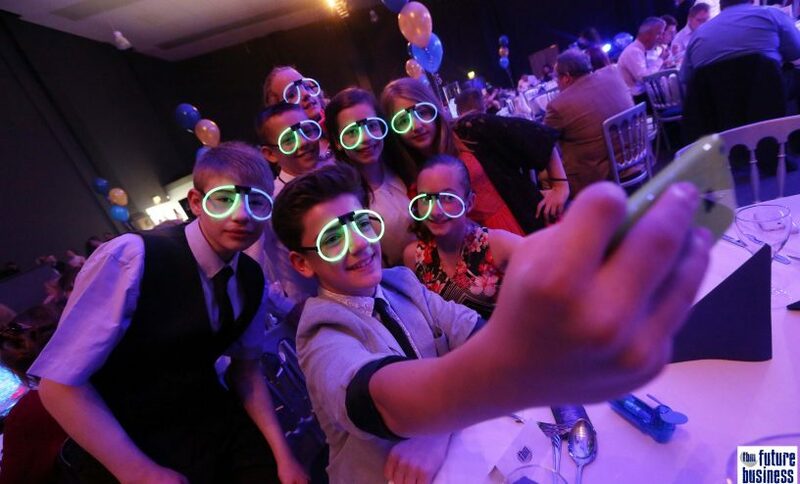 The team from Durham Johnston School landed the overall 2015 winners prize for their ‘GlowFlow Eco Tap’ on a glittering night of success for dozens of creative youngsters at the Future Business Magnates (FBM) Awards in Newton Aycliffe’s Xcel Centre. The school pupils trading under the business name of Hydreco were supported by local business partner Exposure Events to design and create their invention which captivated judges in the competition embedding a spirit of enterprise into Durham schools. Businesses from across the county helped pupils with their ideas and supported them through the business planning process, introducing the young people to the excitement of running a business as well as developing real work skills. Durham Johnston School Business Studies teacher David Martindale, who has been involved in the competition since it started a decade ago, said: “The pupils’ idea incorporated light so that the tap will glow bright red if you are wasting too much water. It’s a topical issue as more and more people are on metered water supply these days and there’s a shortage of water around the world. 2014 winners Belmont Community School came second with its ‘Sports Safe-Light Level Sensor’ with business partner Waterstons Ltd.
And an illuminated constellation kit ‘Star Struck’ designed for young astronomists with the support of business partner Blue Sky Think secured third place overall for students from Durham High School for Girls.